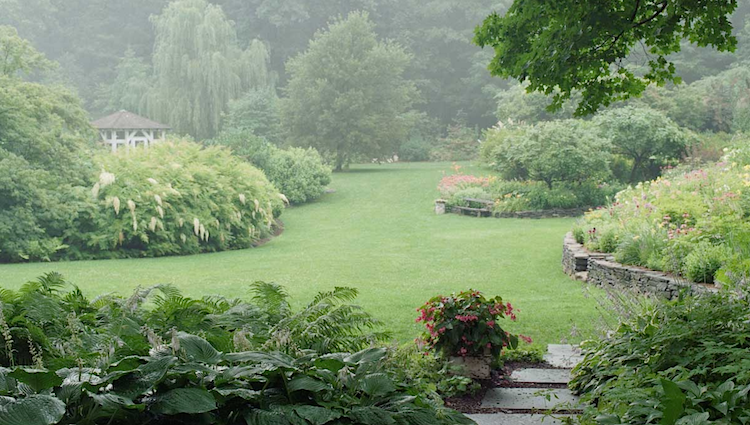 Gale Burbank tossed her successful fashion career in the air and landed in the colorful gardens of the Hudson Valley. 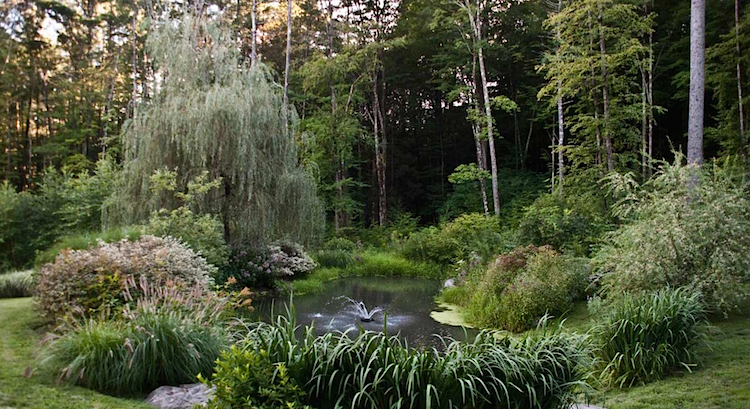 With a passion dedicated to creating the perfect union between art and nature, Gayle designs high style, low maintenance landscapes that transform the world outside. 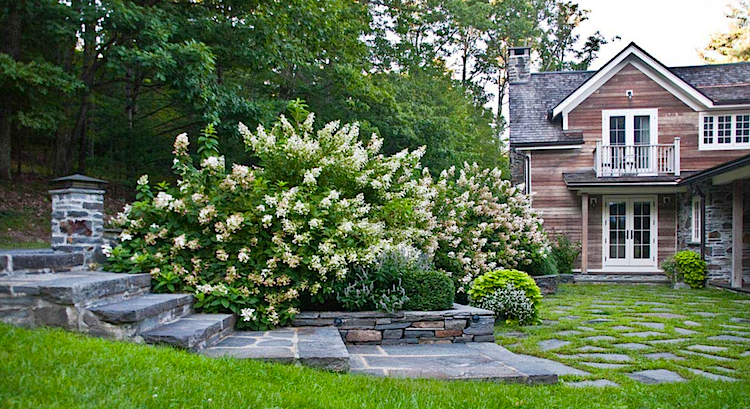 Located in Woodstock, NY, her company Gayle Burbank Landscape, serves the greater Hudson Valley and the NYC Tri-state area. OK, time for the real deal with Gayle! 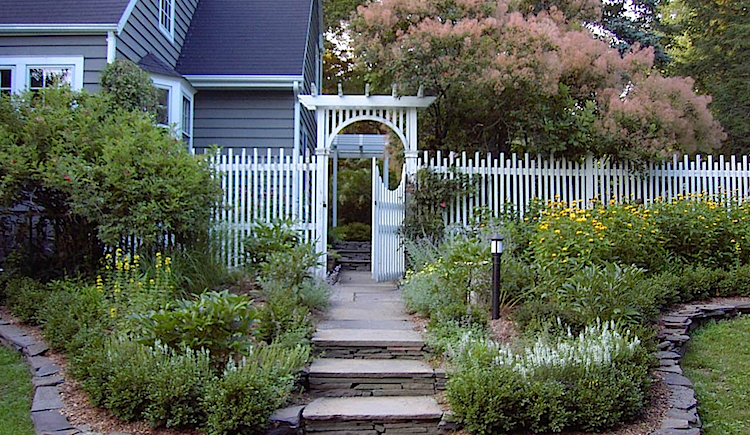 Lisa Halter: Tell us how you got started in Landscape Design. 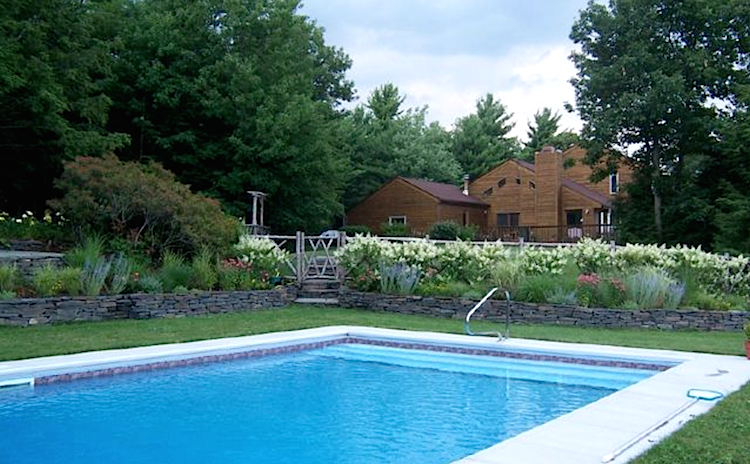 Gayle: We bought our weekend home in Woodstock, NY in the late 70’s. It came with some small gardens and an 80-year-old local gardener who had worked on the property for 50 years. Growing up in NYC, I knew nothing about gardening. However, I was immediately smitten, and under this gardener’s tutelage, I began to learn and become obsessed! We would come up on Friday nights from the city, and I would go out with a flashlight to see what had grown since I left on Sunday night. One year I decided to enter the Golden Trowel Award Contest that Garden Design Magazine did each year – I won runner up! I figured I must be pretty good at what I was doing to have accomplished that. So, after 20 years as a designer, I decided to leave the fashion business and go back to school to study horticulture and landscape design. After graduating from NYBG, I opened up my landscape business. Lisa Halter: Tell us about your very first project? Gayle: I had a wonderful first project. 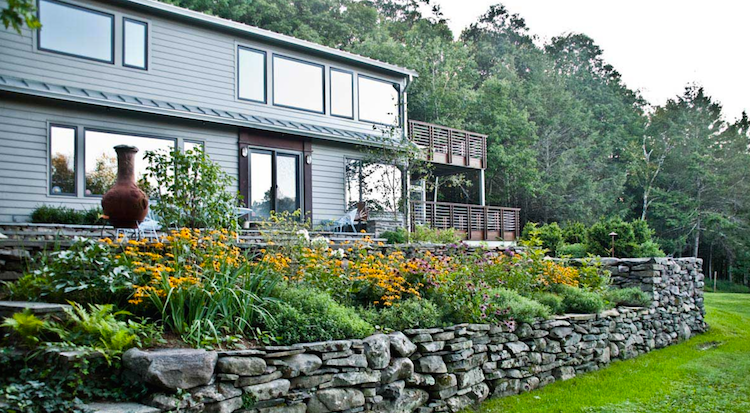 The client had spent years designing and building stone walls all over his property, and he hired me to design and install plantings in and around these beautiful walls. There were sunny areas, shade areas, wet areas – it was a great learning experience for me. 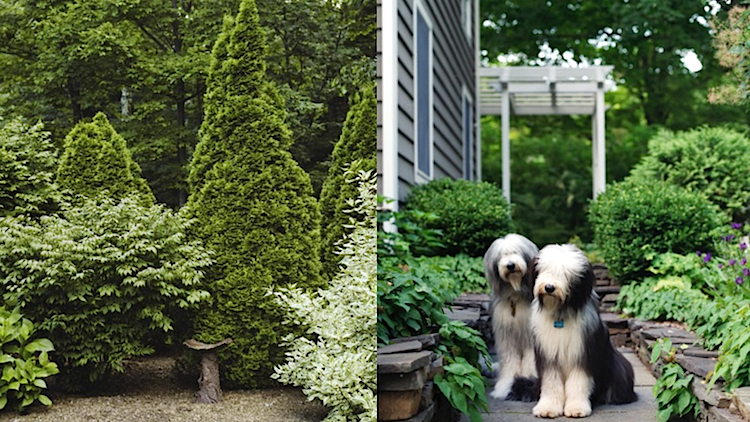 Lisa Halter: What inspires you and how do you go about designing a garden? Gayle: I am first and foremost inspired by what my client’s vision is for their property, and then the property itself. I take into account the topography, the light situation, the style of the house, and deer proofing, or not. 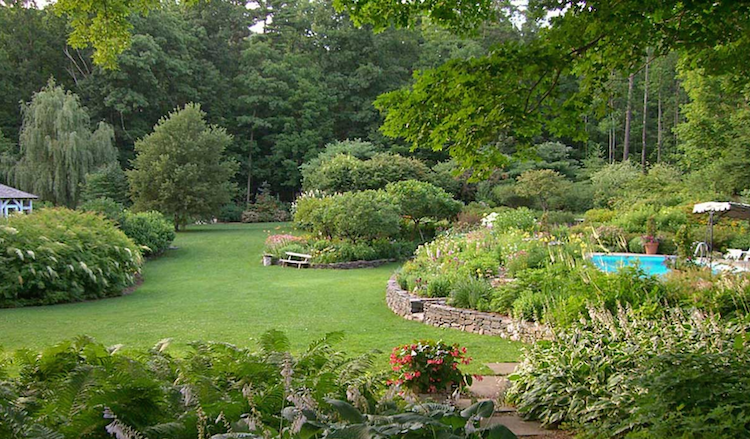 There are so many factors to consider to make a beautiful landscape that will be sustainable. Lisa Halter: I see you are also a sculptor. 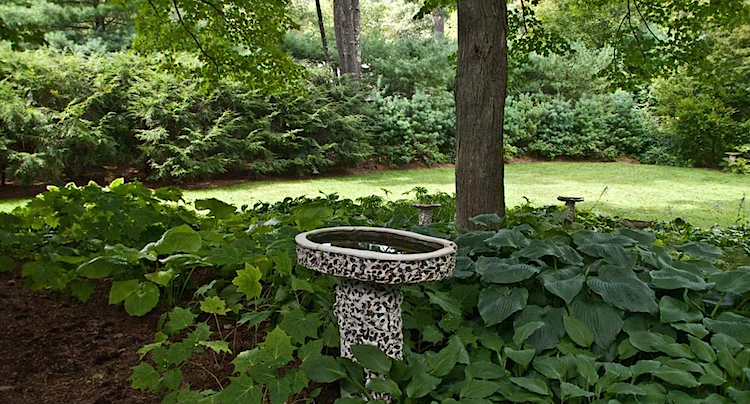 When designing a garden or creating a sculpture, what is the most important factor for you? Gayle: Make it visually beautiful and harmonious with its surroundings. 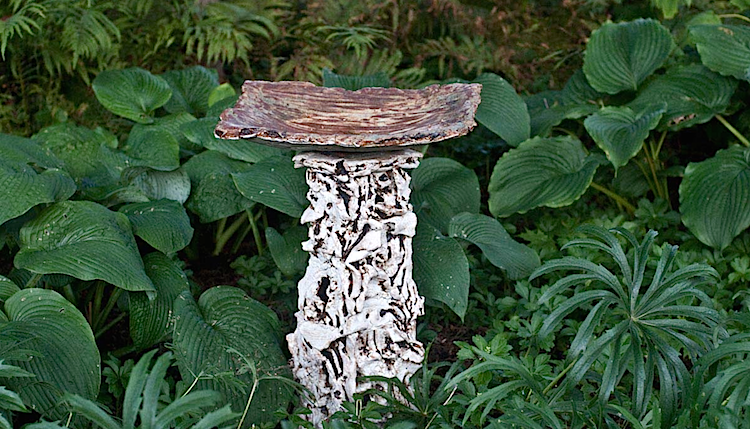 Gayle: Fine Gardening, Garden Design, Architectural Digest and HOUZZ.com. Gayle: I love the idea that houseplants are making a comeback. And, there’s lots of talk about growing plants and vegetables hydroponically. There will continue to be growing interest in vegetable and herb gardens as well as incorporating vegetables and herbs into mixed planters and even in the perennial garden. People are also finally moving away from harmful pesticides. I aways take a stance on the survival of the fittest. Lisa Halter: What is the best career advice someone has given you? Gayle: Don’t think you’re going to get rich doing this! Gayle: So many of my jobs have been “dream jobs”. I think it’s when I am working with a client who is clear on what they want to achieve, is open minded to suggestions, and trusts me to give them a beautiful result. That’s when I do my best work. Gayle: The incredible beauty. It never stops to surprise me. 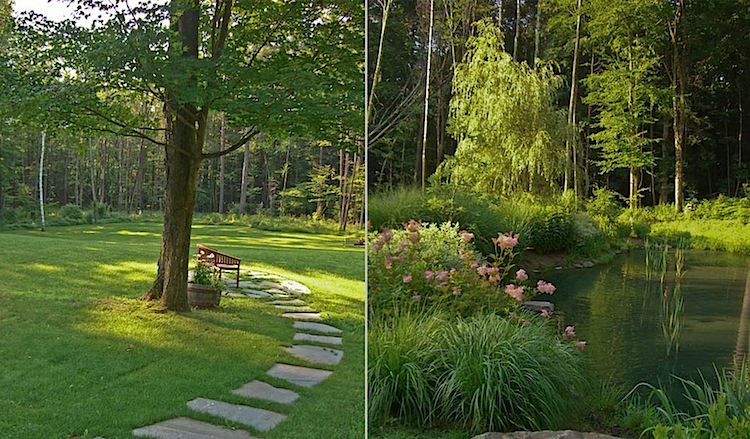 Lisa Halter: What is the most frustrating aspect of your job as a landscape designer? And the most rewarding one? Gayle: Obviously, the most rewarding part is seeing smiles on the faces of my clients when they see the finished product. And when I come back each season, as I frequently do, the gardens look better and better each year. Deer are probably the biggest frustration for me. 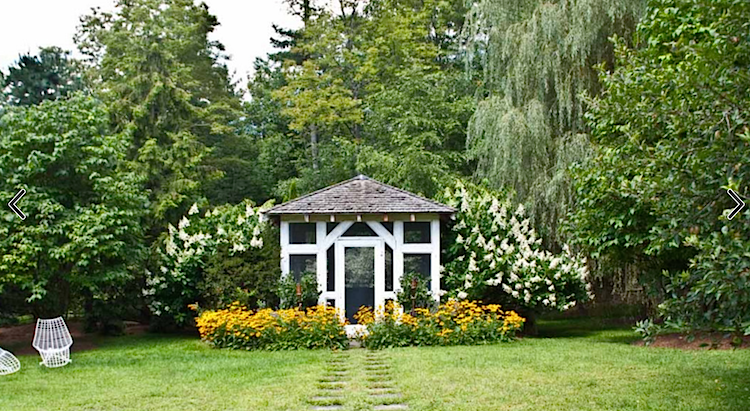 If a client does not want to deer-proof their property, there are still many ways to make a property look great – however, the palette of plants I can work with has its limitations. Lisa Halter: Right. As great as The Hudson Valley is, there is always that pesky problem with deer, rabbits and more. What advice do you give your clients about living in harmony? Gayle: Well, it depends on what a client wants. There are certainly ways to design a property that the deer will (hopefully) not bother. But if you want a varied garden with some of your favorite plantings, it may not be possible to have that without deer fencing at least some of the property. The deer sprays do work, but that takes vigilance. What I never recommend is fencing off individual trees or shrubs. I think that looks terrible and is not in harmony with the surroundings. Gayle: There are several “to the Trade” nurseries on Long Island that I love to shop. Gayle: May through October, somewhere in the garden. November through April, by the fireplace, thinking wistfully about when I will be out again, waiting for the plants to start growing. Want to know more about Gayle Burbank? Gale studied at The New York Botanical Garden and received Certificates in Landscape Design, Garden Design, and Commercial Horticulture. To get in touch with Gayle and to see more of her work, go to GayleBurbank.com. You will also find her on Houzz - Click HERE for the link.